About - TICINO Watch Co.
Ticino Watch Company has been in the business of making mechanical pilot watches and diver watches for over 8 years. We operate within the highest quality factories in Asia that employ the most experienced and talented engineers who use cutting edge and precise machinery, within a clean environment. This ensures you receive quality watches at affordable price. We invite you to experience the difference for yourself. We are confident that you will be impressed with the level of workmanship Ticino Watches produce with each and every model. And, our retailers set the price at the lowest possible point to deliver you the best overall value. 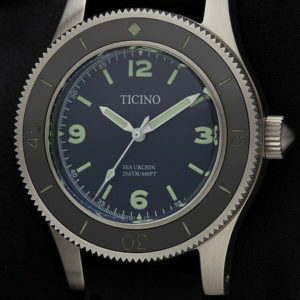 The Ticino watches that are produced today are comprised of high quality materials featuring domed sapphire crystals, surgical stainless steel cases, and durable Japanese and Asian movements that are made to last and keep accurate time. 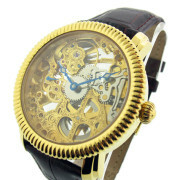 Our mission is to reproduce vintage watches that pay homage to classic models from years past. We believe that these timepieces are not only beautiful, but historic and will never fall out of fashion. We encourage you to check back with us frequently. 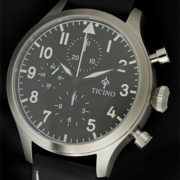 Ticino Watch Company is also now in production of more modern pieces. These new models will be coming to market later this year. We are very thankful to all of our customers and the support we’ve been shown throughout the last 8 years. We look forward to future support and continued enjoyment for our customers with the next round of models that will be rolling out shortly and for many more years to come. Please have a look at our current collection and don’t hesitate to ask us any questions.